The prevalence of paraquat exposure and its health effects have been described in many parts of the world. However unrevealed paraquat exposure cases are still common in developing countries. Here we present cases of chemical keratoconjunctivitis due to occupational exposure to paraquat in Rayong Province, Thailand. All subjects were workers in agricultural sectors whose job responsibilities included mixing and spraying paraquat without proper protective equipment. The subjects reported eye irritation and pain, chemical keratoconjunctivitis was ultimately diagnosed. This report presents unrevealed cases of occupational exposure to paraquat in Thailand, a country where occupational injury and illness recording and reporting systems are not well established. It has not yet been established whether paraquat exposure in the agricultural sectors has resulted in chronic health effects in Thailand. Our data suggest that comprehensive health check-ups for farmworkers and systems for the prevention of paraquat exposure systems should be implemented to reduce the adverse health effects of this chemical. ISNAD Ekpreechakul, Thosporn , Sukpan, Amornrat , Boonjaroen, Achida , Lee, Hu-Jang , Sribenjarat, Borwornyot , Chernbamrung, Theerasit , Park, Eun-Kee . "Unrevealed paraquat exposure cases in Rayong Province, Thailand". 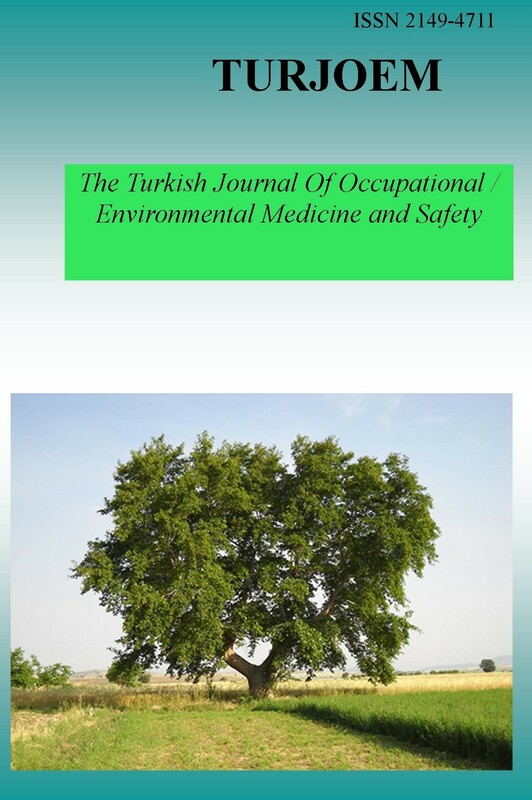 The Turkish Journal Of Occupational / Environmental Medicine and Safety 3 / 1 (February 2018): 7-7.